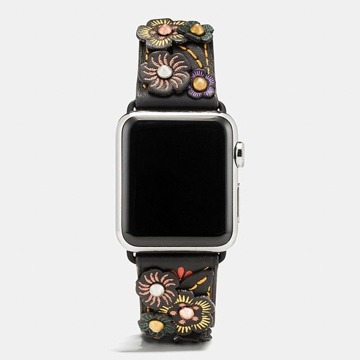 First spotted by Haute Criture on Monday, Coach is rolling out a Leather Strap with Tea Rose Appliqué in Black Multi and the Printed Leather Strap in Chalk Multi, Melon Multi, and Black Multi. 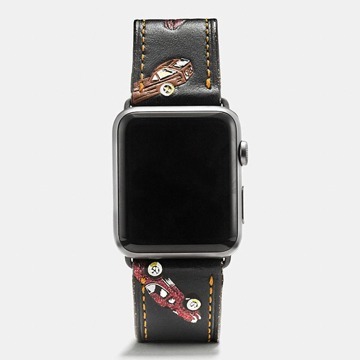 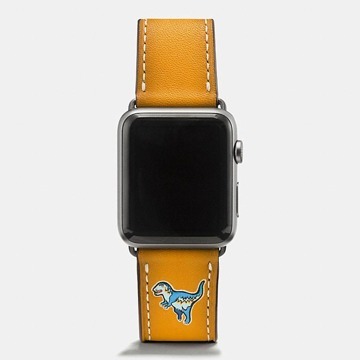 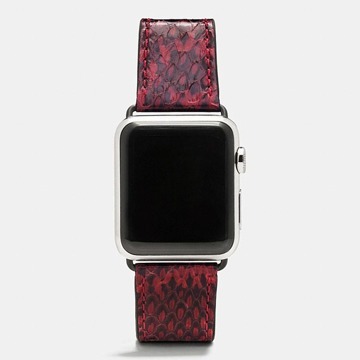 New colors also announced include a new Rexy Leather Strap in Goldenrod and a new Snake Strap in Bordeaux. 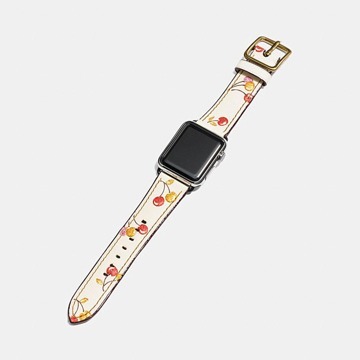 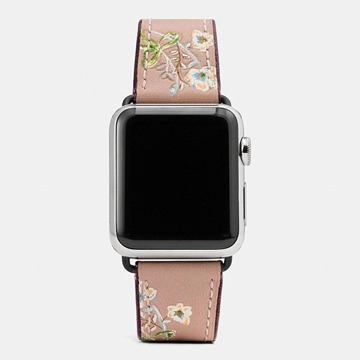 A seventh potential combination exists with the Tea Rose Appliqué Leather Strap in Melon, according to Haute Criture, but there appear to be no current online listings for it.